In the world of tennis, a stroke is the term used to refer to the different ways in which a ball is hit. 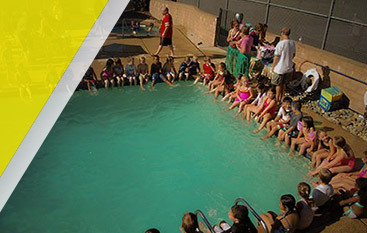 At Gorin Tennis Academy in Granite Bay, we provide our student-athletes with the best coaching instruction available as they learn how to perfect their strokes. 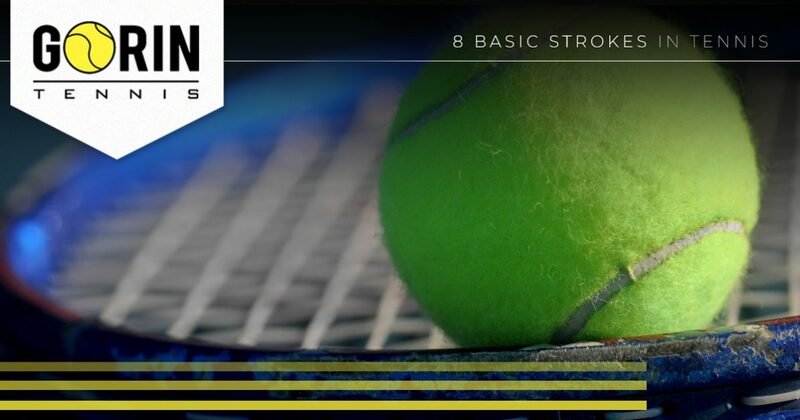 Continue reading to learn more about the eight basic strokes in tennis, and then contact us to learn about the tennis lessons and programs we offer. A serve is the first shot to start a point in a game of tennis. The player hits the ball so that it is directed to the opposite service box in a diagonal direction without hitting the net. Typically, players complete this stroke by tossing the tennis ball in the air and hitting it as it comes down towards them. There are two ways in which a forehand stroke can be used. The first is to return a serve and the second is an open stance forehand. The open stance refers to the way that most players today hit their forehands with their legs in an open stance as it not only allows for more power, but it also allows for a quicker recovery after the shot is played. Some players struggle with the backhand stroke as it is a bit more tricky, and less natural, than the forehand stroke. The basic mechanics require the player to swing the racket around their body so that the back of their hand proceeds their palm as they move the racket forward to meet the ball. Players who are right-handed will begin with the racquet on the left side of their body, and vice versa for left-handed players. Sometimes considered the easiest stroke in tennis, the volley is quite simple in technique. It requires the player to block the ball in the air, which means that there is little to no backswing required. 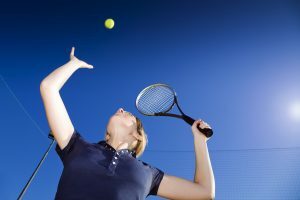 Unlike other strokes, volleys involve hitting the ball before it hits the ground. The half volley, however, is quite tricky and requires excellent eyesight and timing on the part of the player. Essentially, the player tries to hit the ball almost immediately after it hits the ground and begins to rise. The ball should be hit before it reaches the apex of its bounce. The overhead, or smash, is made while the ball is still above the player’s head in a motion that is similar to the serve. It is typically hit with so much power that it ends the point in the favor of the one who completed the smash. A drop shot is perhaps one of the most frustrating shots to be on the receiving end of. If performed correctly, the ball will land just over the net making it nearly impossible for the opponent to return. A lob stroke sends the ball high and deep into the opponent’s court. This particular type of stroke can be used for either offensive or defensive strategies depending on the situation in the game. One risk, however, is creating a situation in which the opponent can return with a drop shot to win the point. 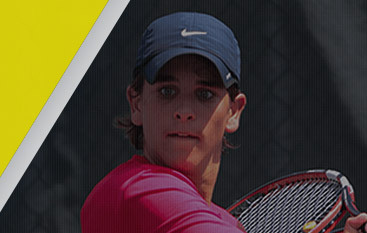 As a Top Rated National® Tennis Academy, we are proud to serve student-athletes in Granite Bay. 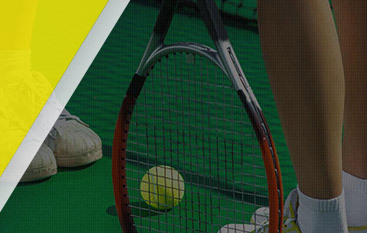 Contact us today to learn more about the tennis lessons and programs that we can offer you.